Unboxing the January-February 2015 BDJ Box* | Vanity and Everything in Between. I was excited to go home tonight because I knew that my January-February BDJ Box was waiting for me! I usually check Instagram to see what the box contains but for this box, I waited until I got home. This box is worth two months so it's got to be worth it! And of course, it was worth it! Admit it, you like looking kawaii, too! That kawaii illustration was a cover to the actual box. When I opened it, I was surprised it came with a note with my name handwritten on it. It's the first time BDJ Box has done this (or at least from what I can remember). 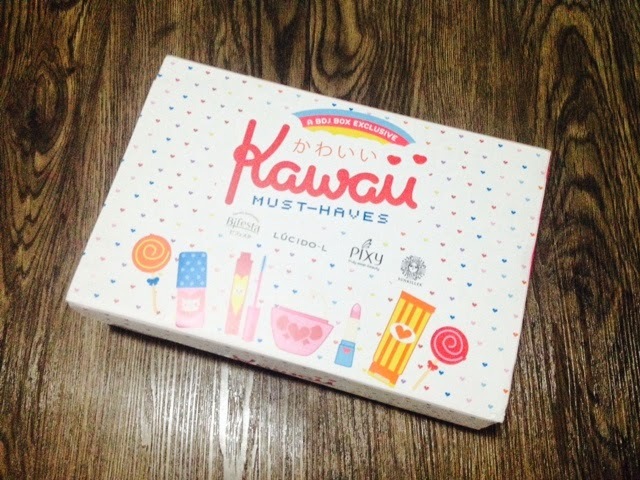 Aside from the usual description of what's inside this month's box, BDJ Box included a booklet of Japanese beauty products that help us look kawaii. And oh, there are 10% discount vouchers inside as well! Sine this box is equivalent to two boxes of BDJ Box, you are to expect that it won't disappoint! Inside are 8 full size products of makeup, hair care, and skin care! 1. Lucido-L Styling Milk Curl (50ml, PhP295) - a leave on treatment that is stable for dry and frizzy hair. The product will help you bring back moisture for sleeker, more manageable and straighter hair that allows fingers to run through easily from roots to ends. I've already tried this product before and I like how it tamed my hair and made it look healthier. 2. Pixy Two Way Cake Fit (12.2g, PhP275) - this powder formula blends perfectly for a smooth and long lasting base. Use it wet for more coverage, to dry for a natural look. It contains two way whitening squalene oil to prevent dry skin and SPF15 to protect your skin from sun damage. I got the shade in Tropical Beige and it's way darker than my skin tone. I use powders one shade darker than my skin tone but Tropical Beige is much darker. I am thinking of using it as contour or an all-around powder this summer when I get a tan. 3. Pixy Eye Shadow (2.8g, PhP315) - its micro-pearl formula creates a soft texture that makes it easy to apply and blend on your lids. Its two-color combination makes it easy to use. Combine it with other shades to create more eye makeup looks! These Pixy eyeshadows were included in my lemming list because I'm curious about it would look on my lids. Most Japanese brands of eyeshadows have a rather sheer pigmentation with a bit of shimmer and I'm guessing Pixy is no different. I got the shade Romantic Poem and just by looking at the pan, I know it would look great during day time! 4. Pixy Coverlast (10g, PhP325) - this long lasting powder foundation from Pixy has Microsphere Powder that covers blemishes for a smooth, even and natural makeup look. It also controls oil and shine to keep you looking fresh throughout the day. I'm not sure if this is a new product from Pixy but I haven't seen/noticed this from their kiosks before. All the more that I'm excited to use this! Summer is fast approaching and I will need to switch from liquid foundation to powder foundation. hope this could be my best bet for summer! 5. Sunkiller Perfect Strong A (30ml, PhP495) - this silky smooth, ultra-light sunblock is highly resistant to sweat and water, making it perfect for all kinds of outdoor situations. It contains a menthol blend which gives you a cooling sensation when you apply it on your skin, perfect for those hot and humid days. It dries to a matte finish, so your skin won't look oily as the hours go by. I already have this from the Elite BDJ Box Heroine Make exclusive but haven't used it til now. Getting a second bottle means I have to try it already, LOL! 6. Pixy Blush On (3.5g, PhP345) - this pretty blush will help you pull off that natural, cute flush on your cheeks, giving you a sweet and innocent glow whenever you smile. It also comes with a handy brush and built-in mirror for easy touch-ups! I got the shade in Carnation Bloom and it looks like a pretty peach shade. I can't really see it from the pan but I hope this blush doesn't have shimmer! 7. Bifesta Cleansing Lotion Bright Up (300ml, PhP419) - it is the first water-based make up remover that is powerful yet gentle on the skin. It is light and non-sticky, yet provides an effective cleansing action. Containing saxifrage extract, it fights away dead skin cells for an even-toned complexion. The product is suitable for dull and flaky skin. I was so happy when I saw a full size Bifesta! I've tried Bifesta before but there were in deluxe size. Too many makeup remover. Just one face. 8. Lucido-L Styling Milk Curl (70ml, PhP295) - it is a leave on treatment for hair conditioning and styling during daytime with high penetrating Hyluronic Acid that traps and seals moisture. It immediately smoothes away frizz and gives you that super sleek look that will last all day. The product is very light when applied and it has a fruity floral fragrance that you'll love! First thing that came to my mind when I read that this is for curls was Fuwarie - only this is a leave on treatment. Excited to use this on weekends as that's the only time that I can style my hair without rushing! If you buy everything in the mall, it will cost you exactly PhP2,764. But with BDJ Box, you only paid PhP1,160 and saved about 60%! You always save by subscribing to BDJ Box! A 1 month subscription costs PhP580 only. They also have 3 months and 6 months subscription. I suggest you get the 6 month subscription as their boxes always sell like hot pancakes. Yes, it's gone in a jiffy. Right now, their subscription for May 2015 BDJ Box is open as March and April boxes are already sold out! 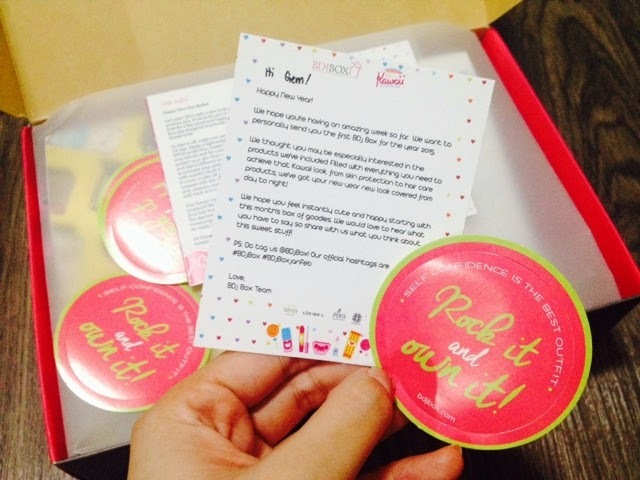 Just visit BDJBox.com to subscribe for a beauty box and check the hottest updates about beauty! I LOVE this kawaii products. 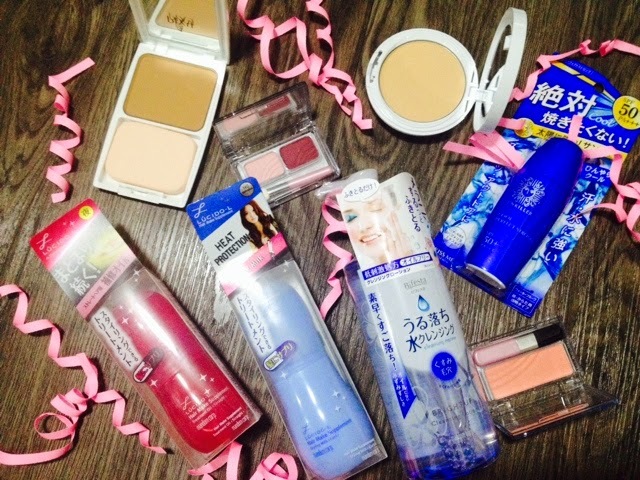 Yes I totally agree.Other japanese brands like Canmake and Dollywink are expensive but Pixy is way affordable! This time it's full size! two of my fave brands were included! Bifesta and Lucido-L! Cuteeeee!!!!!!!!! :) Love the cards. now gonna wait for your review for the PIXY brand ms gem.. where to get them? 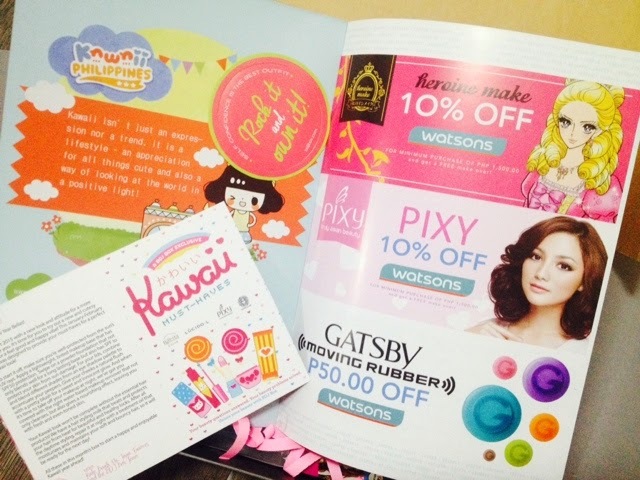 Pixy is available at SM department stores and Watson's. Recent Runs at Sample Room!